Then I stumbled onto Square Foot Gardening. Things made sense! I added the book to my Christmas hints, crossed my fingers and waited. I have to mention, I love my family. The book “All New Square Foot Gardening, Second Edition: The Revolutionary Way to Grow More In Less Space” by Mel Bartholomew arrived and I studied and planned for the spring. Now, at the end of my first square foot gardening season while we move into fall, I must admit I’m totally sold on the method and will continue to use it. 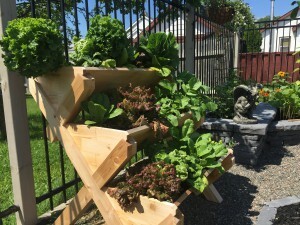 A square-foot salad garden in a tiered garden planter from Cedarcraft.com. One of the biggest strengths I think the method has, is it is not limited to any one garden or area! People in urban yards, apartments, or those living with acreage can all use this. 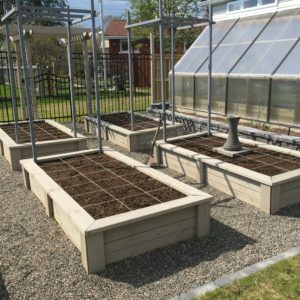 Have a 4×4 raised bed? Awesome, do it. Have a collection of 12″ planting pots? Go for it! Have some 6″ wide eaves? Pick smaller crops and plant away in halves! It’s not even limited to container gardening, go right ahead and use in in your tilled ground (I did). Even if you only have a balcony, get some containers, and plant 🙂 The nice thing about raised planters is they make gardening accessible to anyone, and turn unused concrete into growing room. If you can imagine one square foot holds four lettuce plants – that will mean four little spots with 2-3 seedlings. No longer are you guessing spacing and pulling entire sections of seedlings you will waste. Just a couple quick nips, four times, and done! 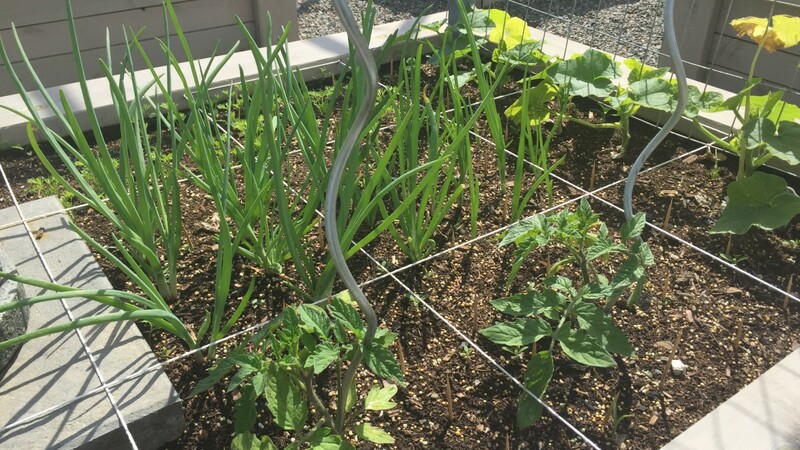 Although it’s not too hard to plan a garden planted in traditional rows, square foot gardening is just as easy. In addition it also gives you a fair estimation of the number of plants you can hope to harvest (bugs, weather and luck aside), so you get that bit of a bonus when deciding how much space you want to dedicate to lettuce versus brussel sprouts or beets. Plus, planning in a rotation or succession of crops over a season takes no effort. Quick things like radishes can easily leave a space for lettuce once harvested, or plant longer-season crops between the radishes so they can take over when the first items are finished. Next season, you can take the entire plan from one bed and rotate it into the next. Compared the the traditional rows I have always used, the square foot method allowed me to grow more plants in less space. It’s not that the plants were grown closer together, it’s just that they were spaced more efficiently without all the dead-space between rows that do nothing but grow weeds. One square foot is 16 carrots, one tomato, or 16 onions, all with plenty of room to grow because they are spaced evenly in a grid instead of a straight line. Firstly, I love this square foot method. Not only did it work great in the raised beds, it also worked great in planters and I even used it in some tilled-beds outside of town. And it made it even easier (for me) to plan around vertical squash trellising – no guesswork on how much space the squash will decide they need this year versus last. I did notice that people are not lying when they say that such intensive gardening needs rich soil and earth. It’s only logical. If that much is being produced, it has to pull enough to support that growth. I knew my soil was not quite nutrient dense enough, and so I did add organics like fish emulsion often through the season. This fall I will be amending the soil with a good pile of composted manure to bring up the quality, and hopefully help with some of the deficiencies I saw. I even plan to adapt my greenhouse planting this fall to make better use of space with square foot planting. 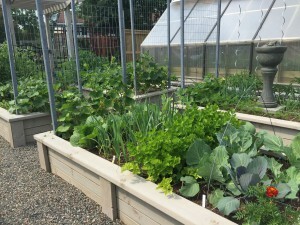 Have you tried square foot gardening? If you have things to add to my thoughts, or any questions I did not cover, please add them in the comments! I’d love to hear from you.